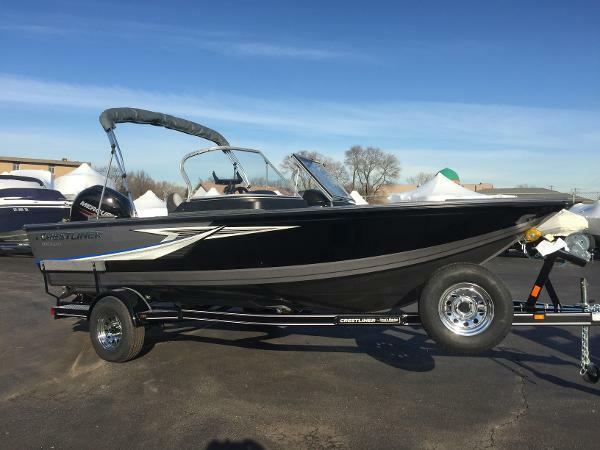 2017 Crestliner 1850 Fish Hawk SC This boat is equipped with a custom Mercury 150hp four stroke, Trailmaster single axle trailer, swing tongue, side guides, chrome rims, vinyl main floor, custom travel cover, bow baitwell, cargo nets, stbd. locking storage drawer, hydraulic steering, platinum edition, hummingbird helix 9 si with ram mount, recirculating livewell, conversion stern bench, minnkota terrova 80 # ipilot/link. 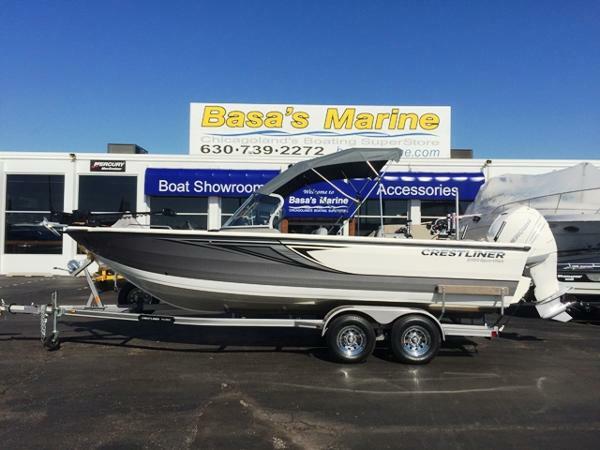 2014 Crestliner 2150 Sportfish SST This boat is equipped with a custom tandem axle Trailmaster trailer, swing tongue, brakes, side guides, spare tire, bow bolster set, captain and passenger upgraded recliner seats, 2 downrigger brackets, custom lewmar anchor windlass with delta anchor, 2 hummingbird 859 ci hd di fish finders, hummingbird onix 10 si gps on console, extra mapping cards, 3 ram mounts, garmin vhf 200 marine radio, minnkota talon 12' on port side stern, rear sun pad, conversion bow with pads, trolling motor mount with minnkota 80# ipilot/link bow troller, washdown system, under console drawer, accy bracket, 4 additional speakers, upgrade to clarion stereo, vinyl main floor, 2 s.s. props, mercury verado digital pre rig with electro hydraulic power steering, folding suntop and boot, side curtains, aft drop curtain, custom travel cover, and more. Color: Silver/Deep Gray. 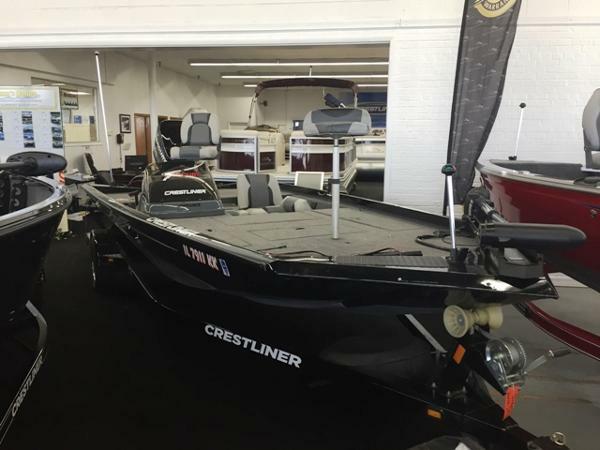 2011 Crestliner 1650 Fish Hawk This boat is equipped with a custom Trailmaster single axle trailer, swing tongue, side guides, spare tire, 2 bass seats, Mercury 60 ELPT four stroke engine, motorguide wireless 45# trolling motor, lowrance x-50 ds fish finder, cargo nets, bow baitwell, conversion stern bench, and vinyl main floor. 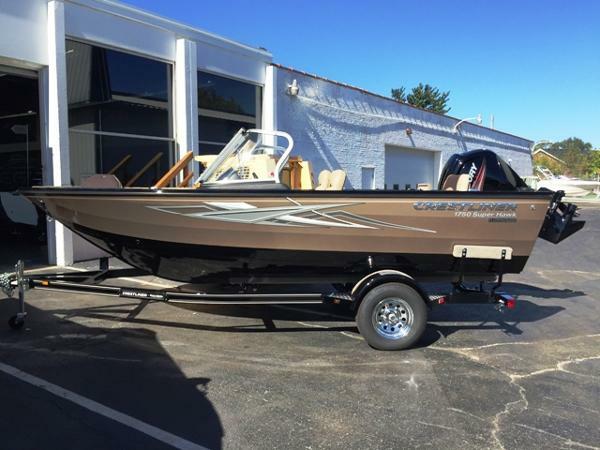 2005 Crestliner Sportfish 1850 MERCURY135XL OPTIMAX, TRAILER, NEW TIRES,CUSTOM WHEELS, BIMINI TOP, FISH FINDER, TRANSOM LIVE WELL, POWER TILT TRIM, CONVERSION BENCH SEAT, SWIM STEP WITH LADDER.,TROLLING MOTOR 74#, 182 HOURS. 2005 Crestliner CMV 1850 This boat is just reduced! 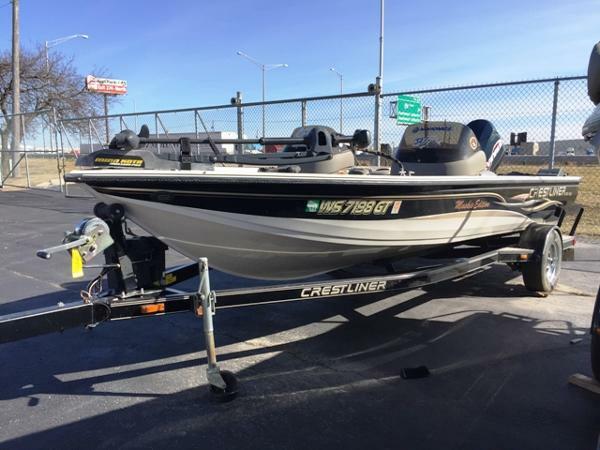 This boat is equipped with a custom single axle trailer, Evinrude 150hp direct fuel injected motor, s.s. prop, motor support bracket, swing tongue, side guides, spare tire, minnkota 80# maxxum bow mount troller, tilt wheel, electric anchor, jbl cd player, lowrance hds 8 with insight, lowrance x-152 and more! 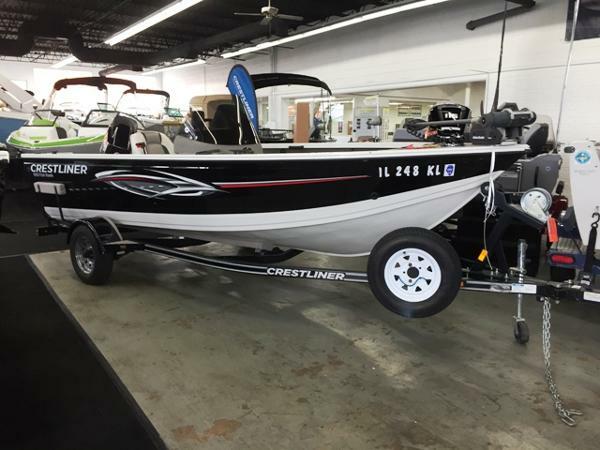 2017 Crestliner 1750 SuperHawk Please call for additional discounts and details.This boat is equipped with a custom Trailmaster single axle trailer, swing tongue, side guides, spare tire carrier, chrome rims,1 extra seat complete, mercury analog pre rig, platinum edition package, sport package, upgraded recliner helm/passenger seat, vinyl main floor, alpine speaker upgd, bow bolster set, premium travel cover, folding suntop, conversion stern bench, minnkota 70# pd troller, prop, and more! Color: Black Metallic/Canyon Brown with Tan interior. 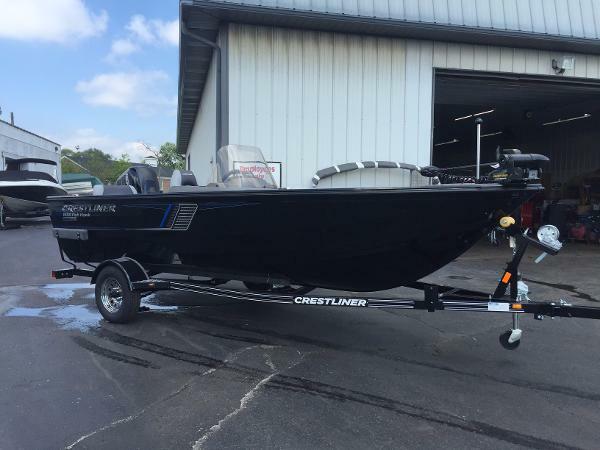 2017 Crestliner 1650 Discovery SC This boat is equipped with a custom Trailmaster single axle trailer, swing tongue, side guides, motorguide W55# troller, lowrance mark 5x fish finder, fuel tank, windshield, vinyl main floor, and travel cover. 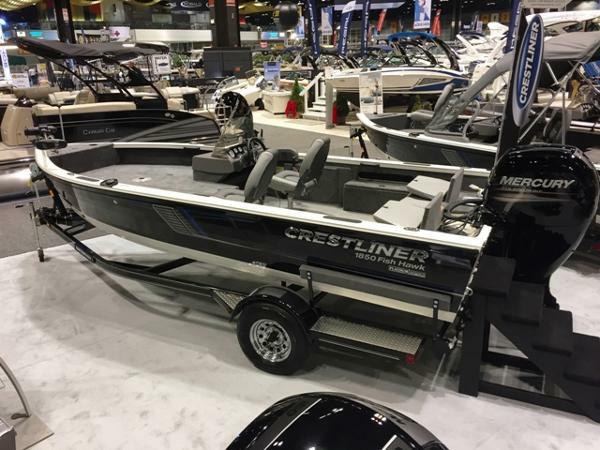 2016 Crestliner 2150 Sportfish SST Please call for additional price saving incentives on this "DEMO" model. 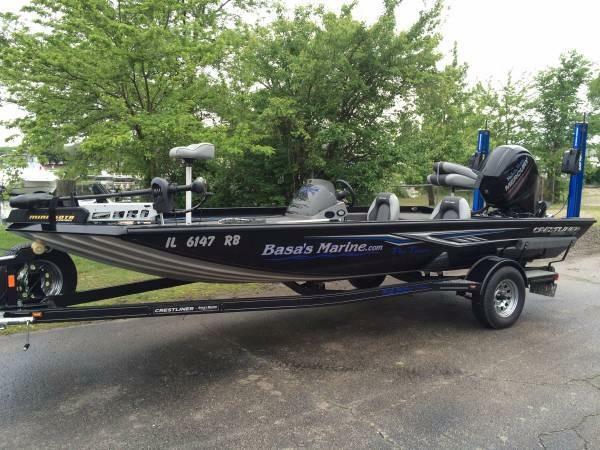 This boat is equipped with a custom tandem axle Trailmaster trailer, swing tongue, brakes, side guides, minnkota ulterra 80# ipilot link, bow bolster set, bow platform pad, captain and passenger upgraded recliner seats, 2 downrigger brackets, blue led gunnel lights, removable table, bow anchor roller, trolling motor mount, washdown system, accy bracket, tool holder, hummingbird helix 10, 4 additional speakers upgrade to dual stereo, vinyl main floor, s.s. prop, mercury verado digital pre rig, folding suntop and boot, side curtains, premium travel cover, 4 s.s rod holders, heavy duty hub kit, hammock, big jon electric downriggers, and more. Current boat in stock isSummit White/Silver Metallic. 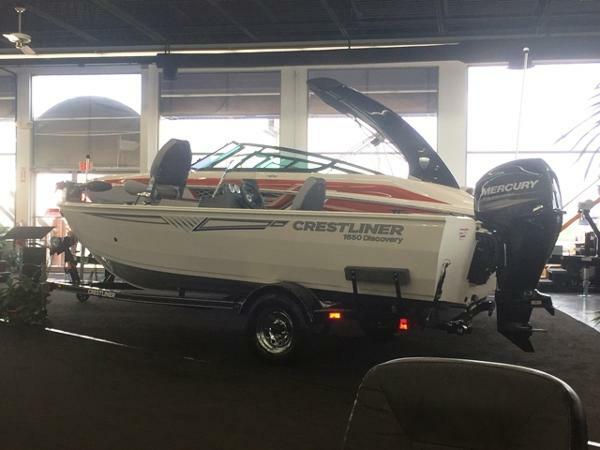 2016 Crestliner 1850 Raptor WT Please call for special pricing on this model! Crestliner Raptor series starting at $31,886.00. 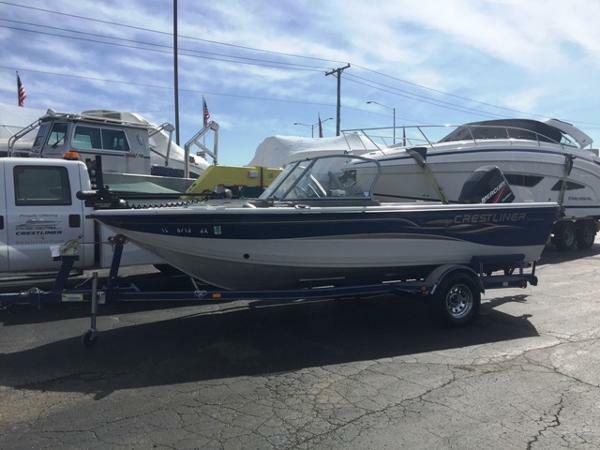 This boat is equipped with a custom Trailmaster trailer, brakes, swing tongue, side guides, Mercury 150XL four stroke motor, vinyl main floor, hydraulic steering with tilt wheel and seat slider, conversion stern bench seat, all power pedistals, washdown system, suremount accy bracket, tool holder, dual stereo with alpine upgraded speakers, folding suntop and boot, side curtains, premium travel cover, hummingbird 899 SI combo with ram mount, and s.s. prop. Color: Silver Metallic/Black. 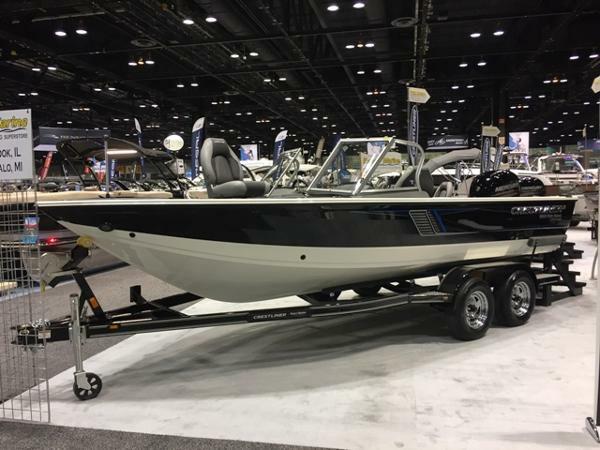 2017 Crestliner 1650 Fish Hawk This Crestliner 1650 Fish Hawk is equipped with a Mercury 60HP 4 stroke outboard, a custom color matched Trailmaster trailer with side guides and a swing tongue, vinyl cockpit flooring, conversion stern bench seat, platinum package, bow cargo nets, bow bait well, custom travel cover, Lowrance x3 fish finder and bow baitwell. This stock boat is all Black Metallic. For other color options and info please call and ask for sales! 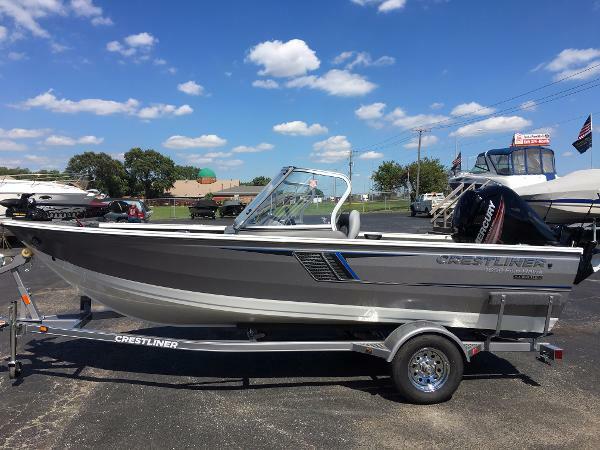 2017 Crestliner 1650 fishhawk WT The 2017 Crestliner 1650 Fishhawk WT comes equipped with a 4 stroke 90 HP Mercury Outboard, an upgraded Trailmaster custom single axle trailer, spare tire mount, side guides, swing tongue, lowrance X-3 fish finder, 25" transom, minnkota 55# thrust trolling motor upgrade, conversion stern bench seat, bow cargo nets, bow baitwell, Boss Stereo with an Alpine 2 speaker upgrade, Platinum Package, vinyl main floor, custom travel cover. Different colors available. Please call our sales office for further details! 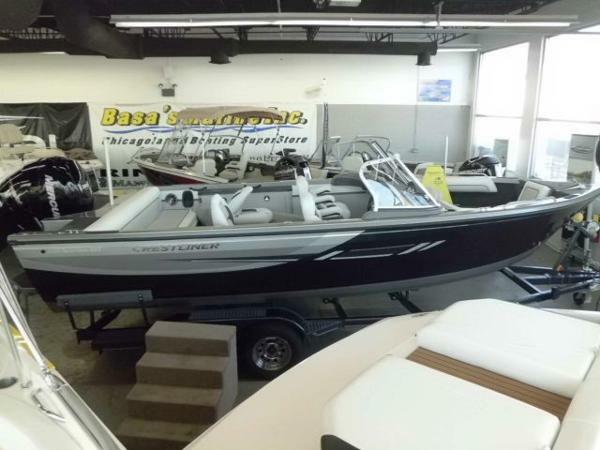 This stock boat is Summit white with Metallic Silver accent!